Sandra Ratkovic (*1980, Frankfurt/Main) is a photographer from Berlin, with a Master’s degree in Art History (University of Frankfurt/Main, 2002-2007) and a photography education at imago Fotokunst Berlin (Class of Ursula Kelm (2013)). She focuses on free artistic documentary photography and is interested in capturing everyday activities to tell stories of different places and different cultural norms. Sandra Ratkovic just published a photo book about Moscow (monograph, Hatje Cantz publishing company) including an introductory note about her work by Wladimir Kaminer. Her solo exhibitions include Kunstverein Neckar-Odenwald (2018), Atelier Alen, Munich (2016, 2017), Wigan Arts Festival (UK, 2017) supported by Arts Council England, Good Transfer photo-book gallery, Munich (2017). She is also curating art exhibitions, i.e. Berlin Mitte Media Festival, Fata Morgana, Berlin (2017), and “Digital Fairy Tales”, International Media Art based on German fairy tales from the 19th century, the exhibition was shown at IFP Media Center, New York, and projected onto the Brooklyn Bridge, New York, USA, as well as exhibited at the Runtingerhaus (city archive) in Regensburg, Germany (October 2016). Awards: Cover photo and photography project published in ”Best of 10 years Zenith Photography Award” (zenith, Stiftung Mercator, and Vodafone Stiftung Deutschland), Honourable Mention Moscow Photo Festival (2017). Sandra Ratkovic’s photography projects are published in international media, such as Spiegel, Zeit, Welt, Taz, Deutsche Welle Russia, Lomography, Deutschlandradio, Kaltblut Magazine, Kwerfeldein Fotomagazin, Fotohits, Black Iris Journal, fluter, Canada LExpress, Tagesanzeiger Switzerland and many more. Her photos are in public and private collections, such as Tradegate Exchange GmbH, Leo Kuelbs Collection and H. Hahn photobook collection. 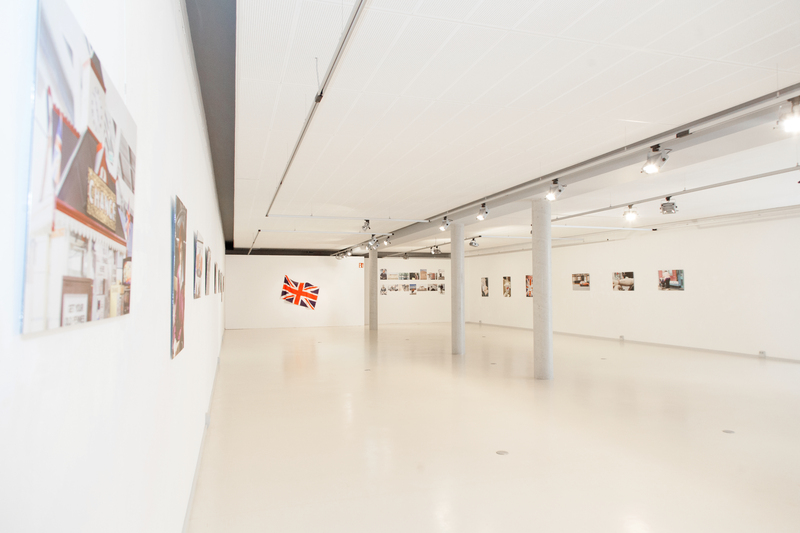 Sandra Ratkovic is showing her latest photo project „Merseyside and Brexit“ at a solo-exhibition at Kunstverein Neckar Odenwald in 2018. Together with artist Sandra Ratkovic, the online magazine kwerfeldein, Hatje Cantz and instagrammers we will explore Russian Berlin. Since World War II, Russia influenced Berlin’s architecture, and there is still a lively community existing. Whether Russian War memorials, parks, supermarkets, book stores or theatres — Russia belongs to Berlin like the Russendisko to Kaffee Burger. At the latest since she documented Russian life in Moscow, Sandra Ratkovic has developed an eye for the old and new signs of Russian lifestyle. Inspired by her photobook “Moskau Moscow Mockba”, in collaboration with kwerfeldein Hatje Cantz are initiating an instawalk. 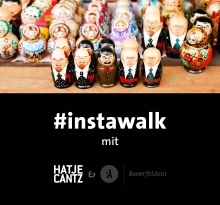 Together with Sandra Ratkovic and kwerfeldein editor Tabea Borchardt, Hatje Cantz invite instagrammers to stroll through Berlin-Prenzlauer Berg and capture traces of Russian life in the cityscape. 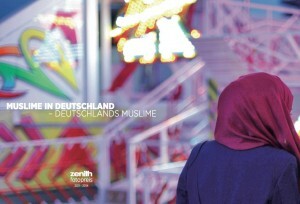 The most beautiful pictures will be published afterwards on kwerfeldein as well as the Hatje Cantz Photoblog. 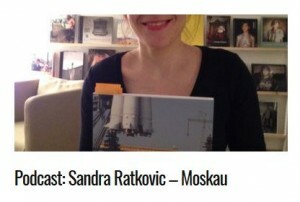 Sandra Ratkovic is presenting her photo book „MOSKAU. 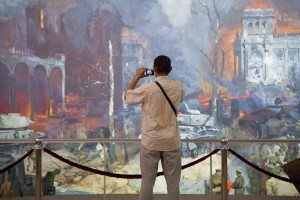 MOSCOW.MOSKBA“ at the 1st Mitte Media Festival in Berlin, together with the art project Past Nor Present by Carsten Becker. Mitte Media Festival is sponsored by Leo Kuelbs Collection, Fata Morgana Gallery, CoGalleries, Z-Bar, Last Night in Berlin and Chased Magazine. Photograph by Sandra Ratkovic is cover of the photobook „Best of 3 years Zenith Photography Competion“, by Zenith Magazine, supported by Stiftung Mercator and Vodafone Stiftung Deutschland!